Thanks for all your supports. The third “Crazy Saturday” event had came to the end. 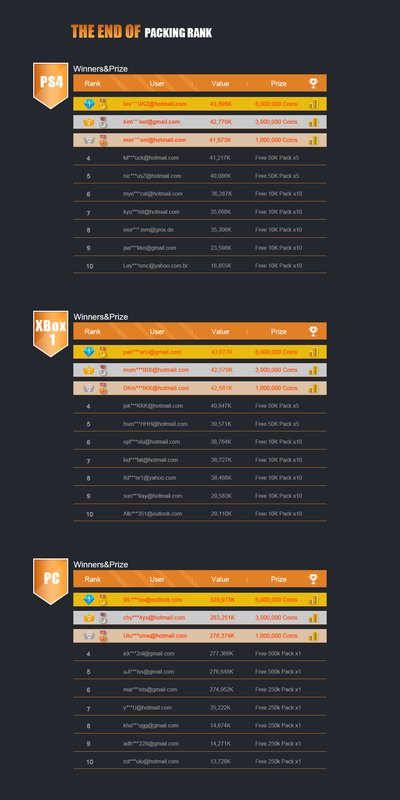 Congratulations to all the TOP 10 Ranking winners and others who had earned coins in packs! No need to feel bad if you are not on the rank, the next Packing Rank is available on the next Saturday, 29 th, April! The winners will get the prize today(April 24), please check your mailbox or Member Center Message and follow the details as the message shows to get the prize by yourselves.